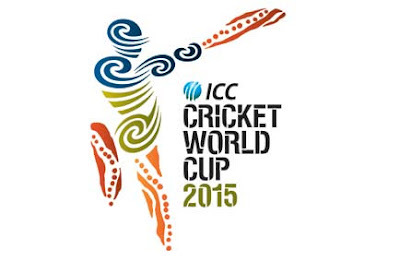 Recently International Cricket Council announced schedule and pools of Cricket World Cup 2015 that will be played in Australia in February-March 2015. Pakistan is in the Group B with tough teams like India and South Africa. Pakistan's opening match will also be against the historic rivals India. Now less than 2 years are left in arrival of World Cup 2015 in Australia which means Pakistan should start work on the preparation now to see positive results in the big event. those players much be given maximum chances to play that will be present in the squad of 2015.
the young players that are making same mistakes again and again although they got the talent should be coached properly to make improvements. in this list names of Nasir Jamshed, Umar Akmal, Ahmed Shehzad, Haris Sohail, Asad Shafiq, Hammad Azam, Junaid Khan comes. Pakistani captain Misbah Ul Haq is performing really well with the bat in middle order again and again but the question is if he will be able to play for Pakistan till World cup in the same way? if not then Pakistan needs to find another good captain who should go into World Cup with some experience of captaincy. Pakistan has lot of hopes with T20 captain Muhammad Abdul Hafeez who is really good all rounder. he will probably be next captain of Pakistan's ODI and test team after Misbah Ul haq. but it is seen that he is not performing very well with the bat from sometime and getting out in same fashion again and again. so he also needs to improve himself before the world cup. Who will be wicket keeper of Pakistan in World Cup? will it be Umar Akmal or Kamran Akmal or any other player? it needs to be decided now. Will senior players like Abdul Razzaq, Shahid Afridi, Younis Khan be there for Pakistan in World Cup or all dependence will be on young blood? Australian pitches are helpful for fast bowlers. Junaid Khan and Mohammad Irfan should be fully prepared to bowl on those pitches.